Remember What Happened? Only In Your Dreams! It is by now well established that sleep can be an important tool when it comes to enhancing memory and learning skills. 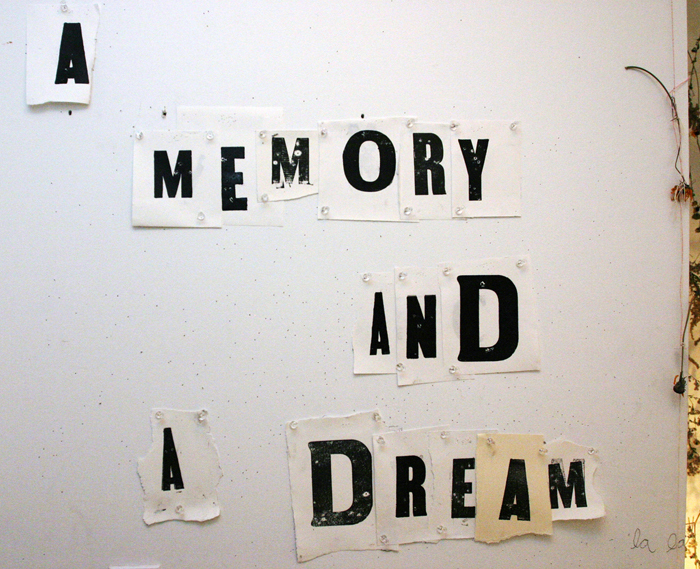 And now, a new study sheds light on the role that dreams play in this important process. Led by scientists at Beth Israel Deaconess Medical Center (BIDMC), the new findings suggest that dreams may be the sleeping brain’s way of telling us that it is hard at work on the process of memory consolidation, integrating our recent experiences to help us with performance-related tasks in the short run and, in the long run, translating this material into information that will have widespread application to our lives. The study is reported in the April 22 On-line issue of Current Biology. To test this hypothesis, the investigators had 99 subjects spend an hour training on a “virtual maze task,” a computer exercise in which they were asked to navigate through and learn the layout of a complex 3D maze with the goal of reaching an endpoint as quickly as possible. Following this initial training, participants were assigned to either take a 90-minute nap or to engage in quiet activities but remain awake. At various times, subjects were also asked to describe what was going through their minds, or in the case of the nappers, what they had been dreaming about. Five hours after the initial exercise, the subjects were retested on the maze task. The non-nappers showed no signs of improvement on the second test – even if they had reported thinking about the maze during their rest period. Similarly, the subjects who napped, but who did not report experiencing any maze-related dreams or thoughts during their sleep period, showed little, if any, improvement. But, the nappers who described dreaming about the task showed dramatic improvement, 10 times more than that shown by those nappers who reported having no maze-related dreams. “These dreamers described various scenarios – seeing people at checkpoints in a maze, being lost in a bat cave, or even just hearing the background music from the computer game,” explains first author Erin Wamsley, PhD, a postdoctoral fellow at BIDMC and Harvard Medical School. These interpretations suggest that not only was sleep necessary to “consolidate” the information, but that the dreams were an outward reflection that the brain had been busy at work on this very task. Of particular note, say the authors, the subjects who performed better were not more interested or motivated than the other subjects. But, they say, there was one distinct difference that was noted. Furthermore, this memory processing was dependent on being in a sleeping state. Even when a waking subject “rehearsed and reviewed” the path of the maze in his mind, if he did not sleep, then he did not see any improvement, suggesting that there is something unique about the brain’s physiology during sleep that permits this memory processing. “In fact,” says Stickgold, “this may be one of the main goals that led to the evolution of sleep. If you remain awake [following the test] you perform worse on the subsequent task. Your memory actually decays, no matter how much you might think about the maze. Ultimately, say the authors, the sleeping brain seems to be accomplishing two separate functions: While the hippocampus is processing information that is readily understandable (i.e. navigating the maze), at the same time, the brain’s higher cortical areas are applying this information to an issue that is more complex and less concrete (i.e. how to navigate through a maze of job application forms). Study coauthors include BIDMC investigators Matthew Tucker, Joseph Benavides and Jessica Payne (currently of the University of Notre Dame). BIDMC is a patient care, teaching and research affiliate of Harvard Medical School, and consistently ranks in the top four in National Institutes of Health funding among independent hospitals nationwide. BIDMC is a clinical partner of the Joslin Diabetes Center and a research partner of the Dana-Farber/Harvard Cancer Center. BIDMC is the official hospital of the Boston Red Sox.